The liver is the largest gland in the human body and is located to the right of the stomach. The liver is responsible for several functions of the body, including producing and breaking down hormones, producing amino acids, and detoxifying toxic substances. Because a properly functioning liver is necessary for survival, experiencing any degree of liver pain can be alarming. There was a time when you had only two choices for medical care: planning a doctor’s appointment or waiting in a crowded emergency room. 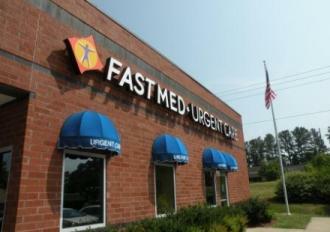 FastMed Urgent Care is distinguished by its team of dedicated medical professionals, whose primary goal is providing personal care right in patients’ neighborhoods. Our facilities are open 7 day of the week, offer extended hours, and are staffed with warm, welcoming professionals. No Pain, No Gain? Not When It Comes to Your Liver. Because liver pain can be a warning sign of a life-threatening condition, it is highly recommended that you see your healthcare provider to help explore possible causes and treatments. FastMed accepts most forms of insurance and provides an affordable way to manage healthcare costs for you and your family. Not sure if we accept your insurance plan? Check out a complete list!